Essex Scouts Centenary Challenge is here! Home/Essex Scouts Centenary Challenge is here! 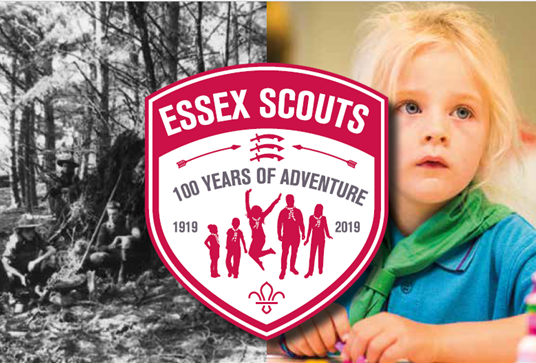 In celebration of 100 years of Essex Scouts we are delighted to launch the Essex Scouts Centenary Challenge. The task is to complete 100 challenges throughout the year. Within the booklet you can track your progress – each challenge has a code. As you will see many of these challenges fit with our programme building ‘Skills for Life’ and we have made them scalable depending on the section you are working with. Once you have completed the 100 challenges, you will be able to order a special badge. For any additional information do not hesitate to contact Liz Connelly our Deputy County Commissioner (Youth Programme) or any of the Youth Programme Team.